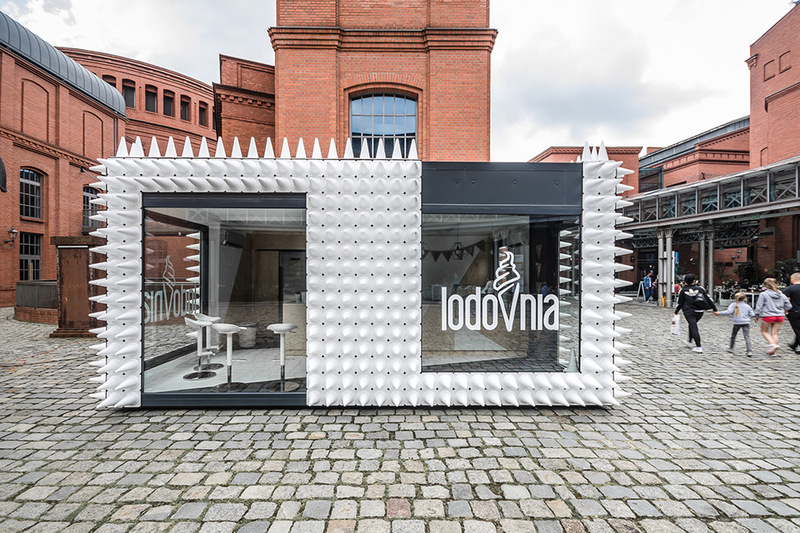 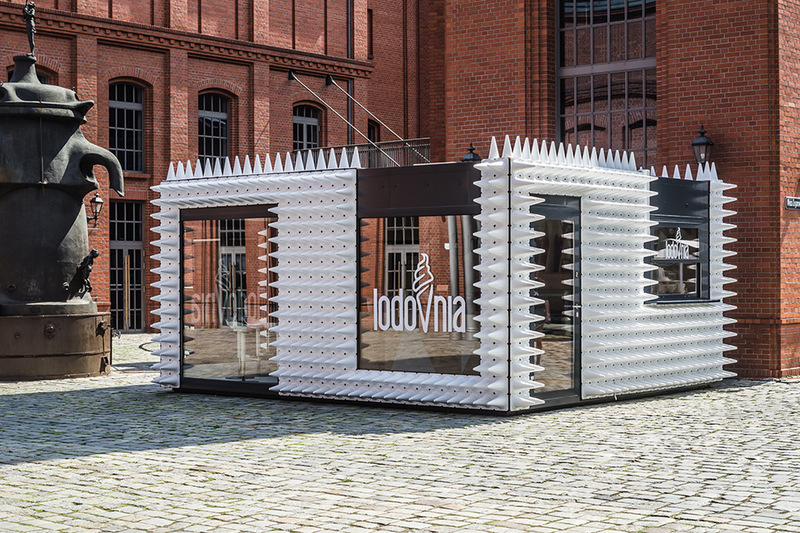 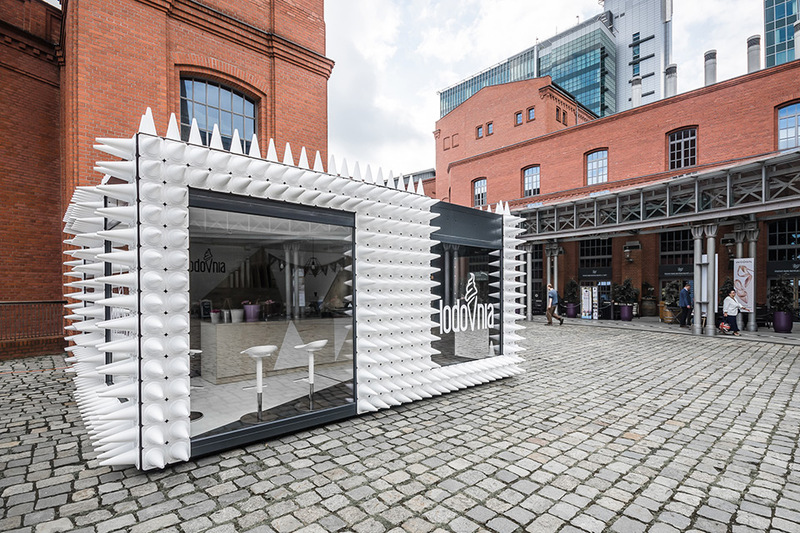 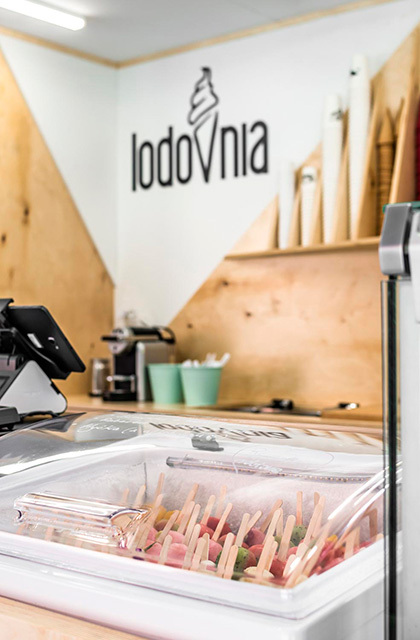 A new interesting object has appeared in the heart of Poznań’s Stary Browar – LODOVNIA mobile ice cream shop. 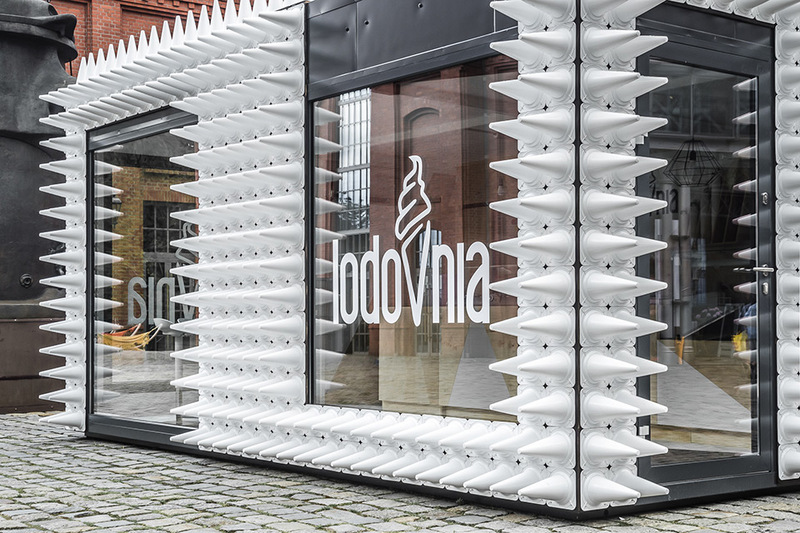 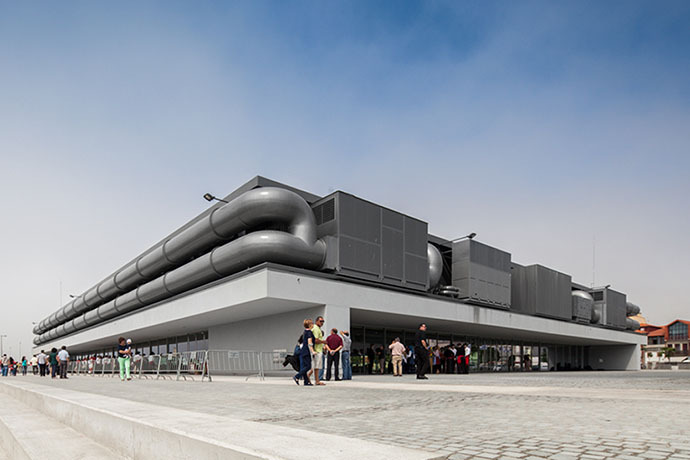 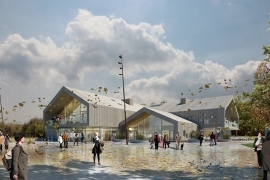 Designed by the architects from the Polish studio mode:lina, the building is covered with almost one thousand white sports cones symbolizing the natural ice cream in a cone, the LODOVNIA’s flagship product. 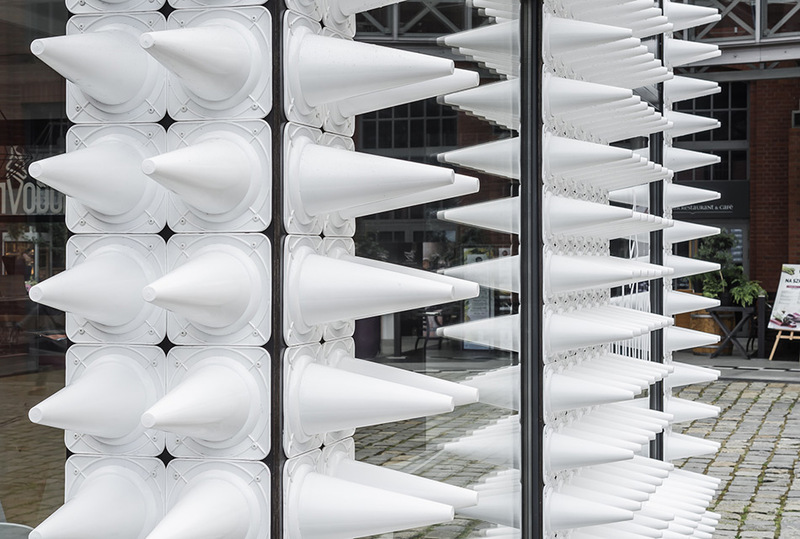 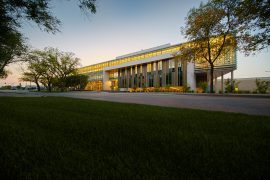 Since the building took a central spot in the Courtyard of Art, the architects approached its facade as if it was a piece of art. 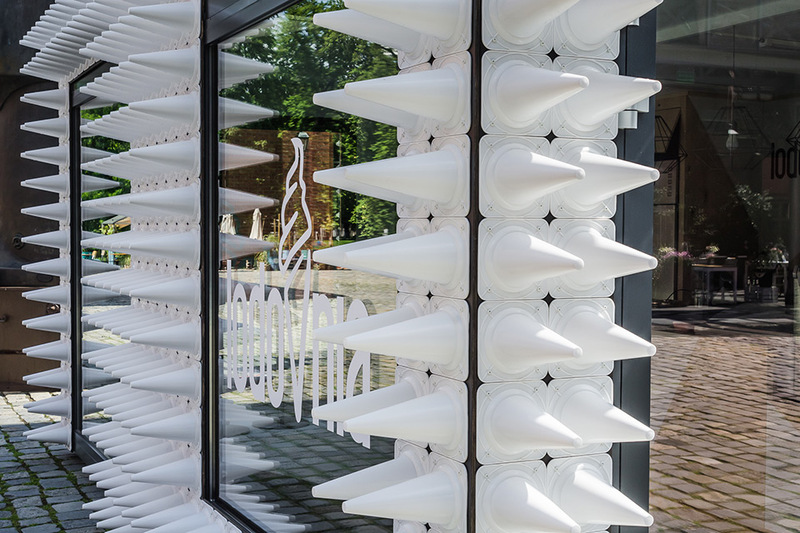 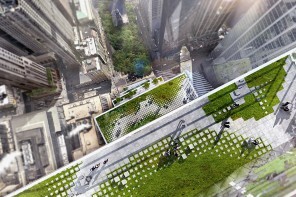 Large windows not only allow passers-by to peek in, but they also reflect the surrounding Stary Browar’s architecture. 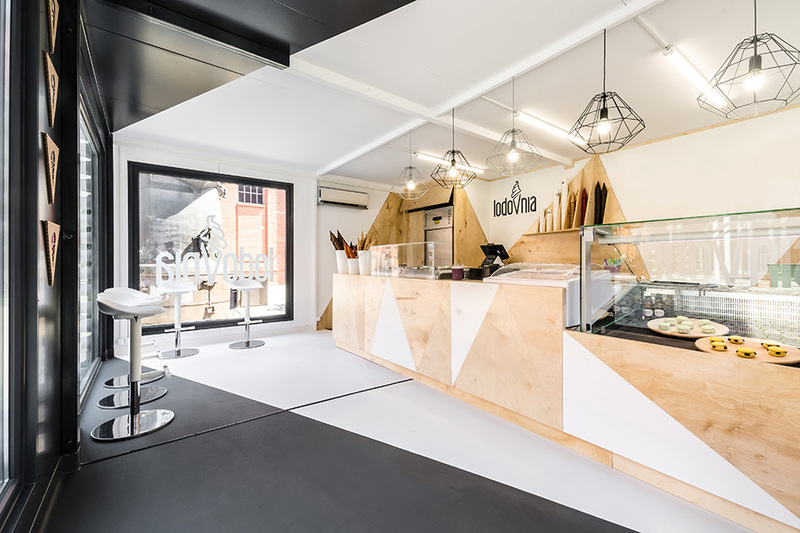 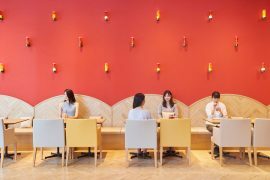 The interior of the cafe is a black and white composition as well, warmed by triangle-shaped elements made of natural plywood. 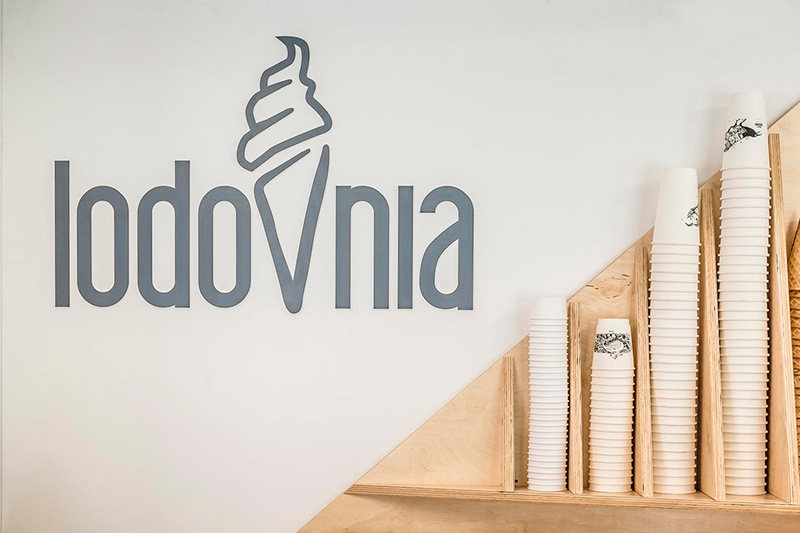 Both the triangles and the shape of a sports cone refer to the letter V in LODOVNIA’s logo, making the architectural result consistent with the ice cream shop’s visual identity.